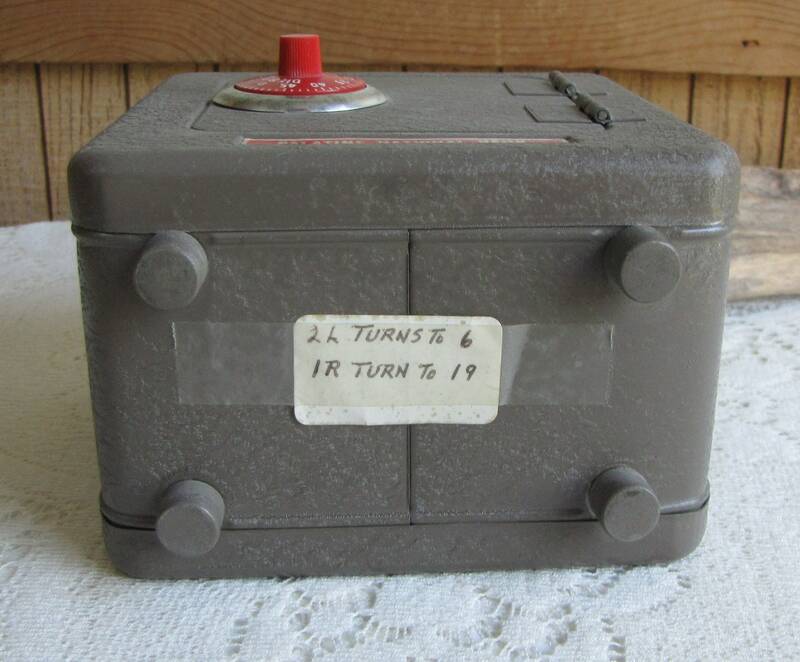 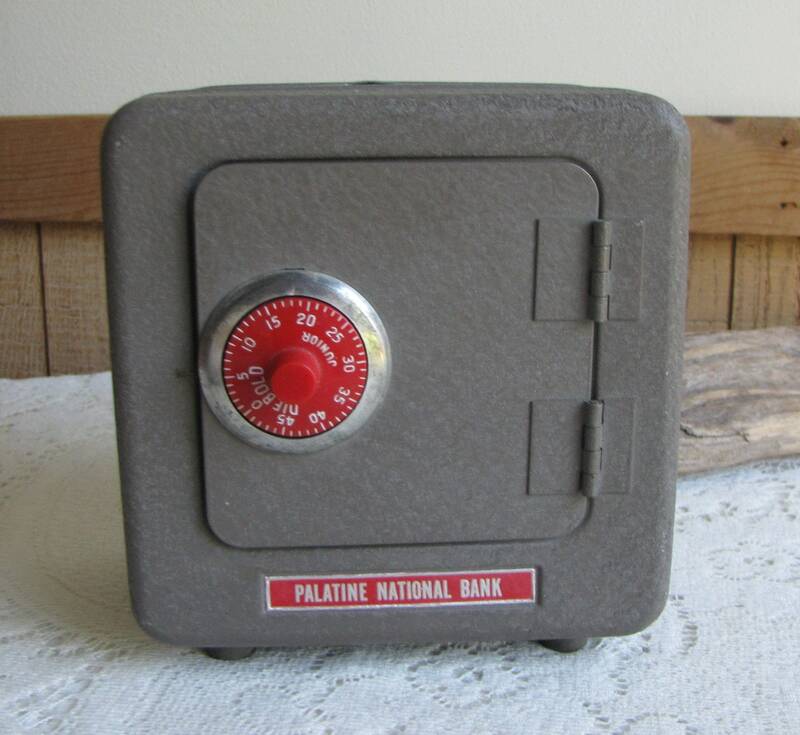 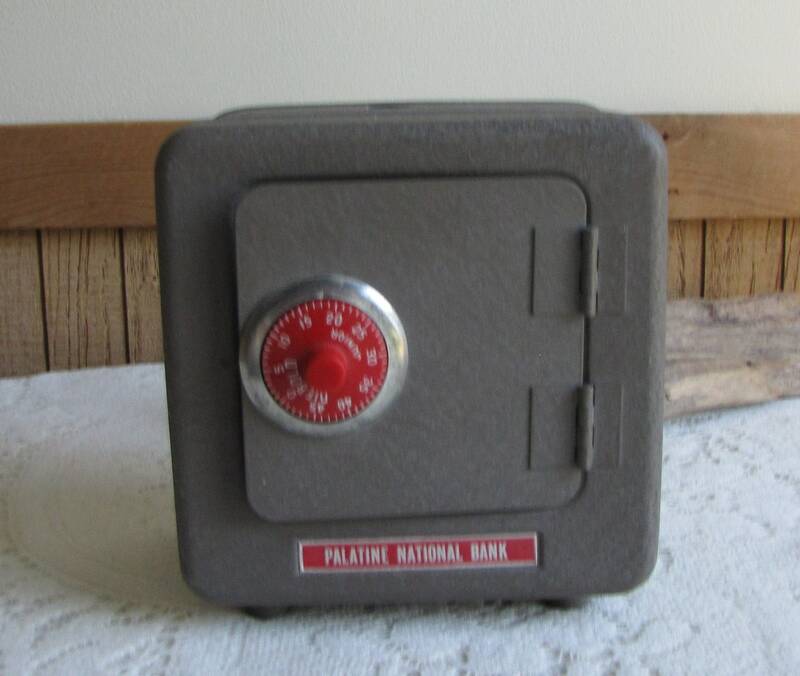 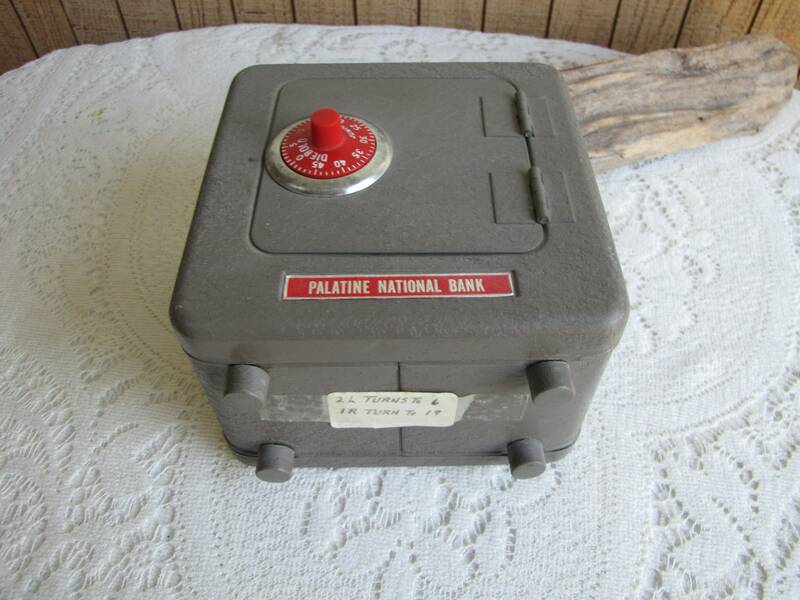 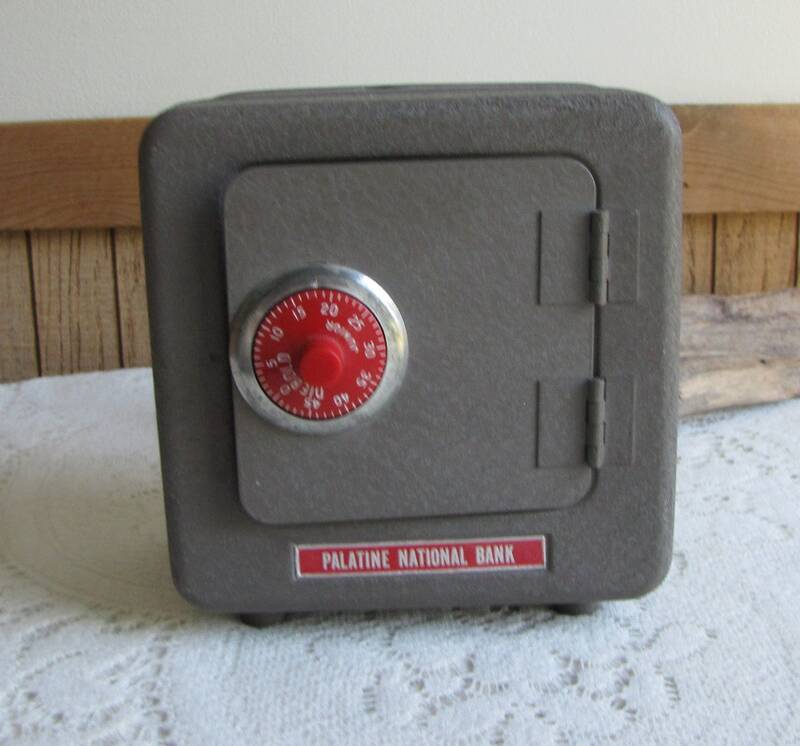 MThis a combination lock metal penny bank with a plate stamped, Palatine National Bank. 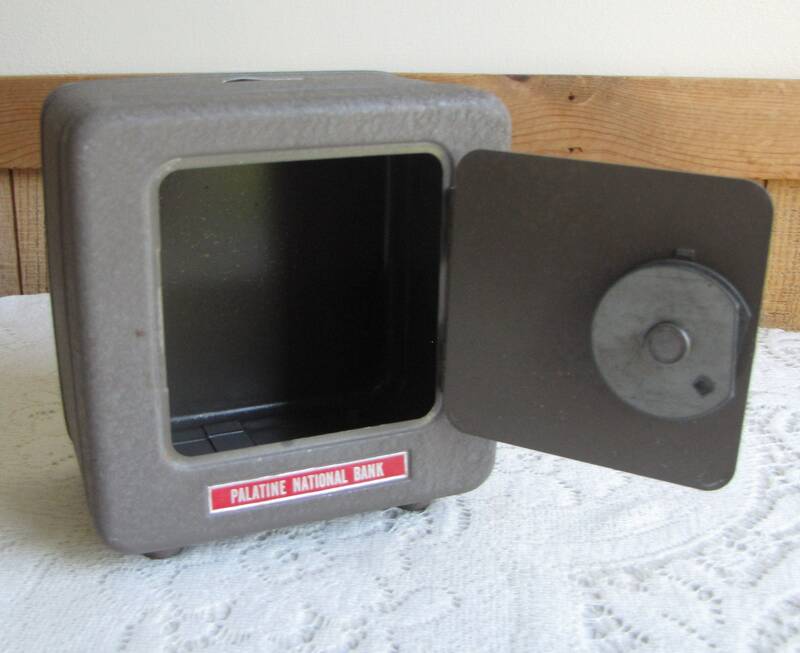 Which is in Illinois. 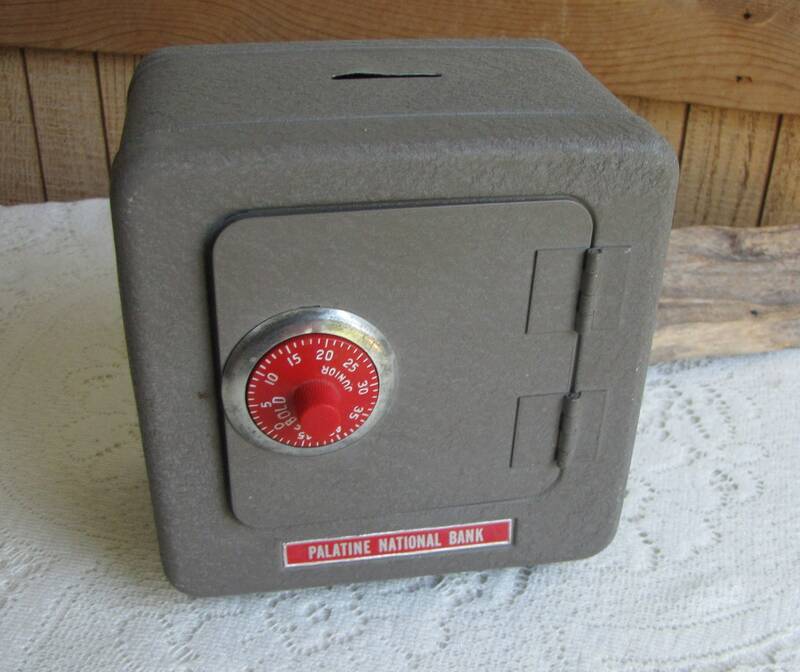 The bank is in very good vintage condition with a working combination included (taped on the bottom). 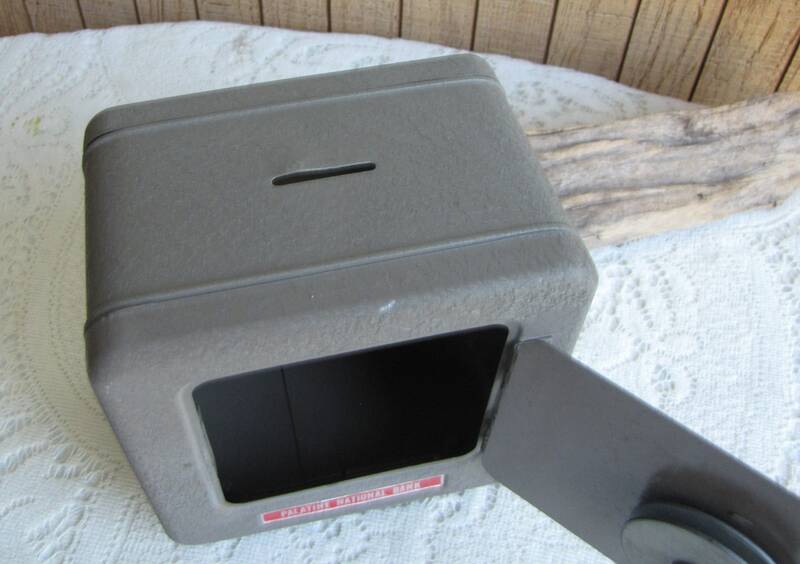 There is a dent on the penny slot. 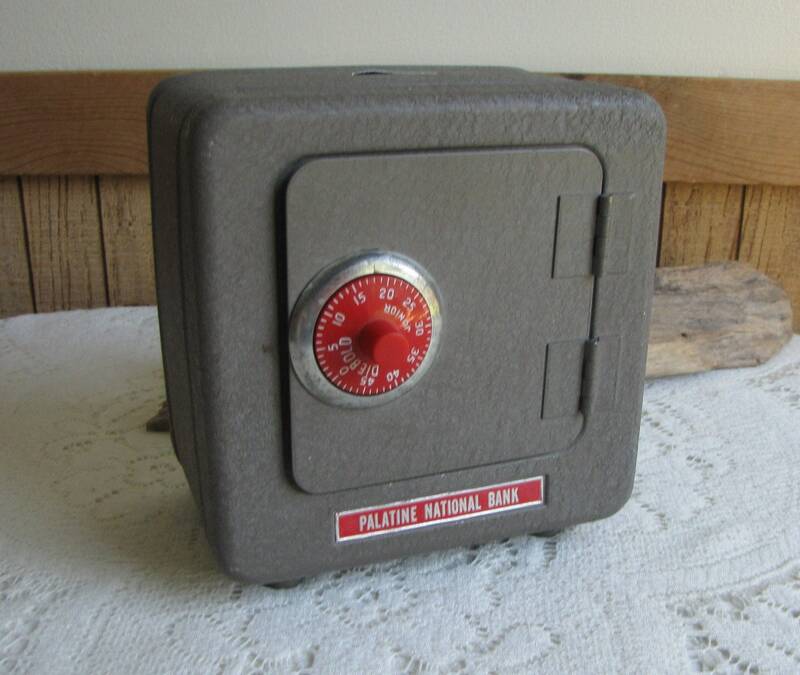 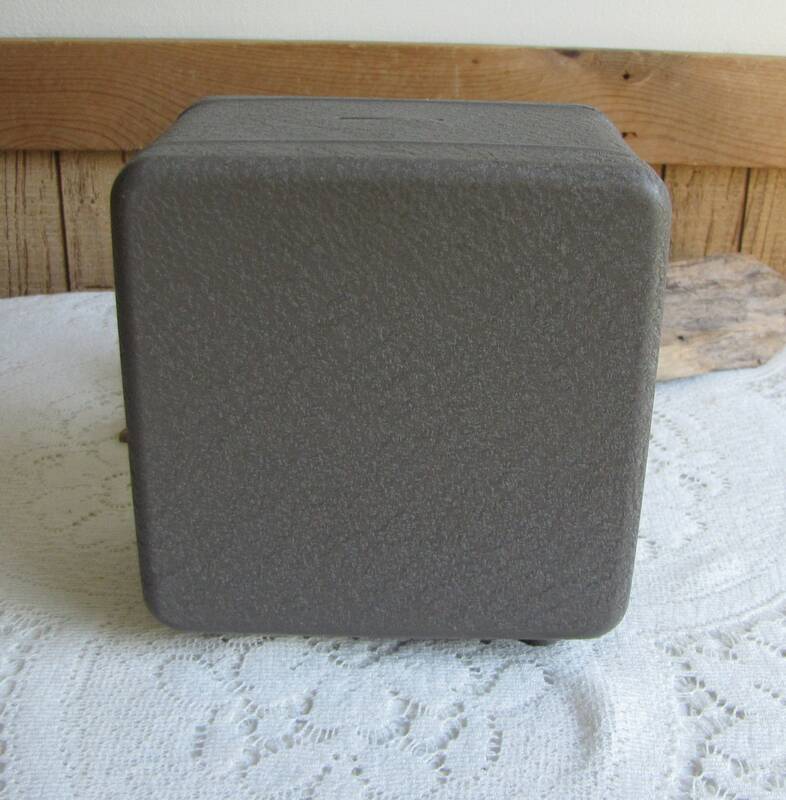 It measures 6.25 inches tall and is 5.75 x 4.5 inches.